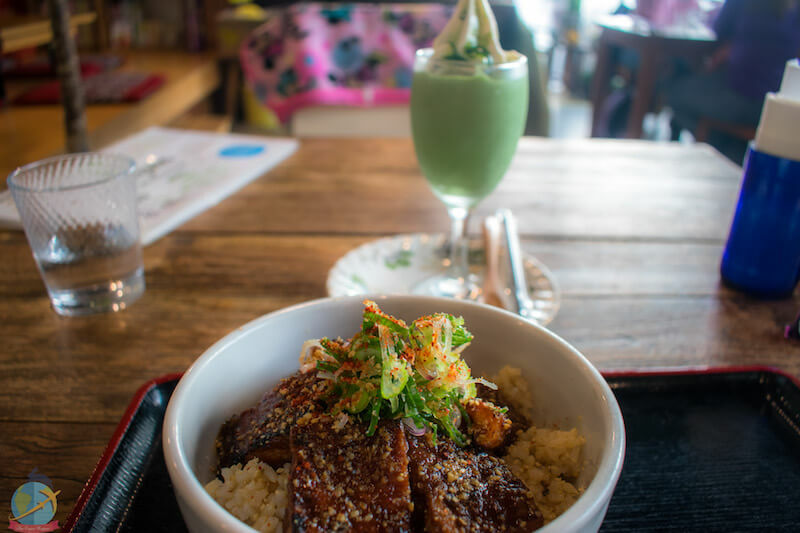 Before going to Japan I researched a lot, especially I checked all the vegan options that could be found thanks to HappyCow, blogs, Instagram, YouTube and Facebook groups, etc. 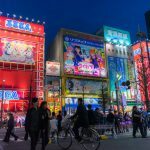 132 options in Kyoto, 391 options in Tokyo and 90 in Osaka-the main places I was going to see during my trip. Wow! The hard part was being able to decide which ones to visit during those days in Japanese lands. I reduced the list depending on the reviews, the location of the restaurant and what caught my attention. I was definitely interested in trying Japanese food in its vegan version, so that was an important point to consider. Restaurant schedules are also something to take into account. Many would close after lunch and do not re-open until after 5, others do not open on Sundays. But almost everyone closes the kitchen at least an hour before their closing time so don’t even think about showing up half an hour before the last hour of service. 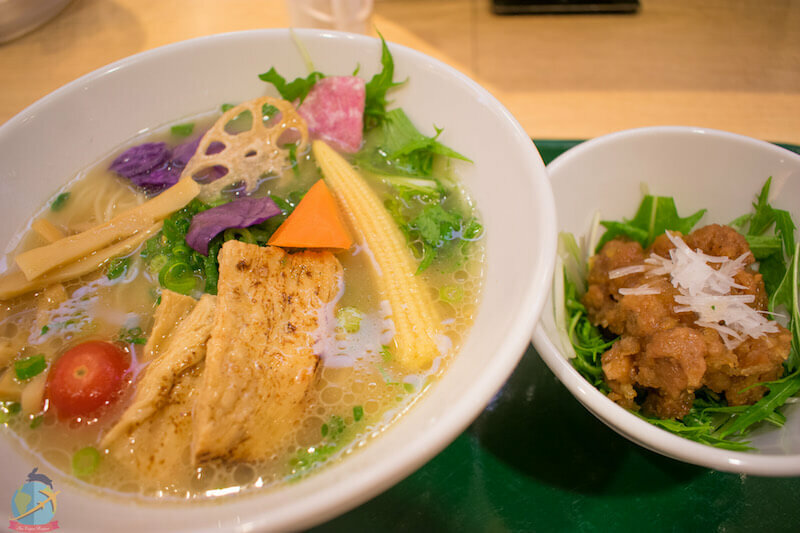 Without further ado, let me show you all the vegan food I could try in Japan! 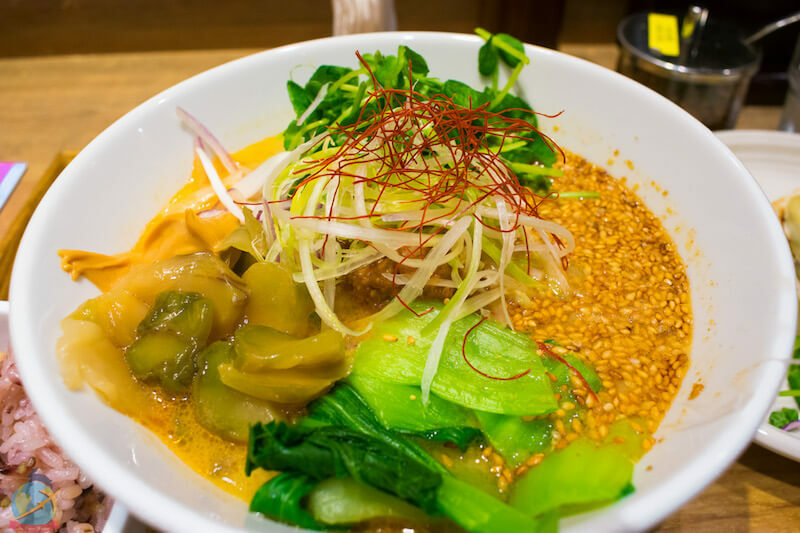 I wanted to go to this restaurant from the first time I discovered I was going to be able to eat vegan ramen in Japan. 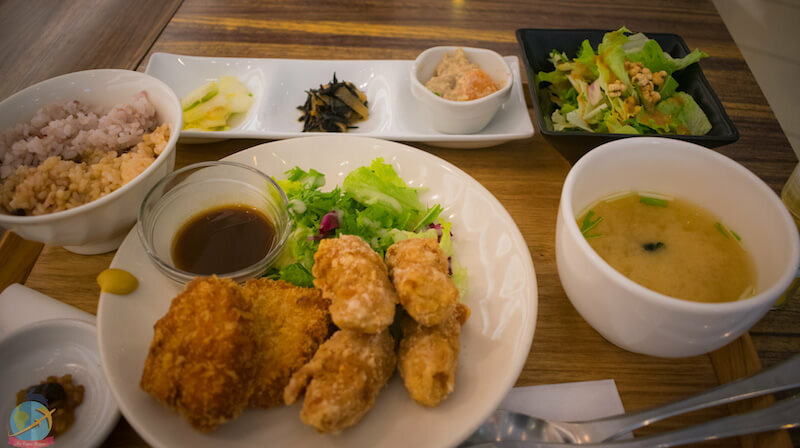 The restaurant is located inside JR Ueno station, so you should take advantage if you are already there or else you would have to pay for a train ticket to be able to enter. 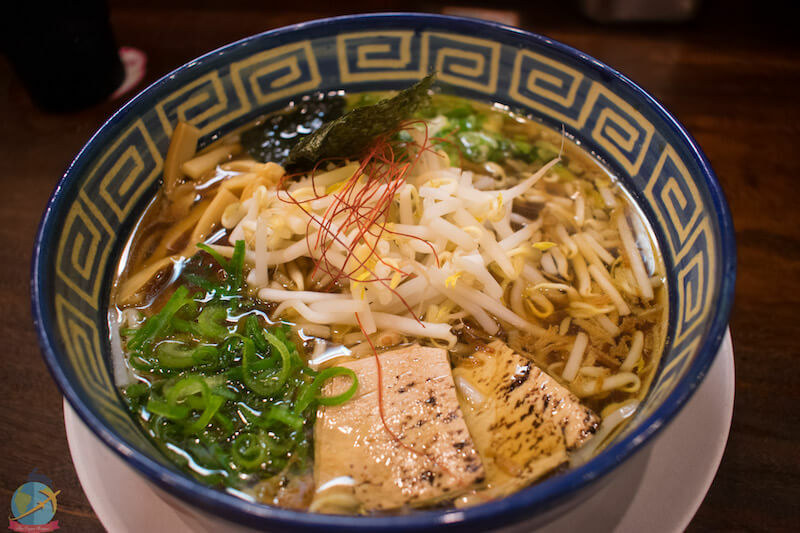 There are fewer ramen options compared to the Tokyo station branch, but they have the most popular ones: White Sesame, Golden sesame, and Black sesame ramen. In addition, you also find curry dishes, fried soy meat, gyozas, and desserts. I don’t know how to explain it, but when I had the first bite, I couldn’t believe it. The flavors were so perfect that I felt immensely happy with my choice. You can order individual or combo dishes. 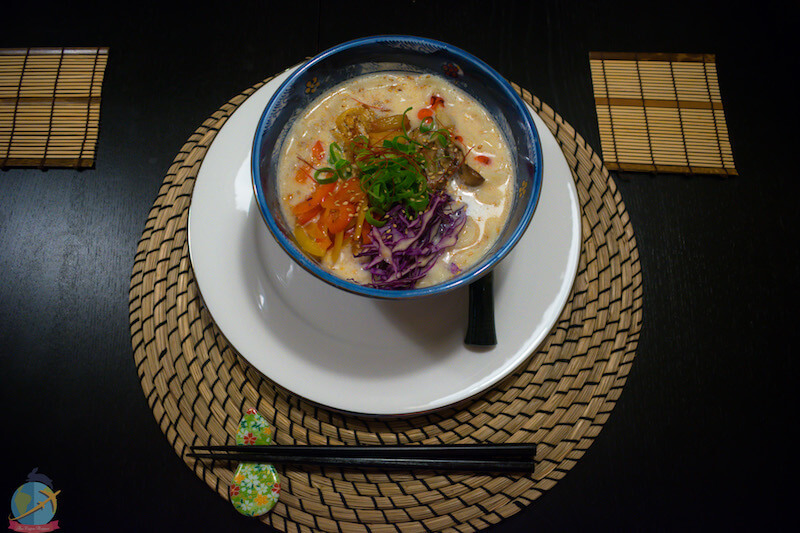 I decided on the Golden Sesame ramen that was delicious and I accompanied it with gyozas and fried soy meat. I was walking the streets of Shibuya when it was lunchtime, so I decided to go to the nearest place I had around and that was Bio cafe. This is a small cafe that offers some vegan options, teas and desserts. When you go tell them you are vegan so they can give you the special menu where it is clearly indicated which dishes are suitable for vegans. I spent some time trying to decide between the pasta or the vegan burger, in the end, I chose the burger. The portions are somewhat small, but luckily the salad bar and tea are self-serve and you can go as many times as you want. 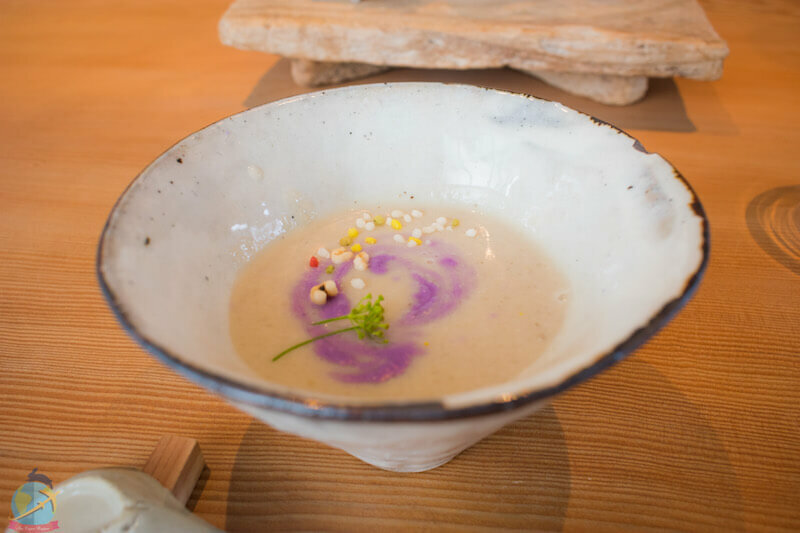 The soup of the day is also included in the meal but the one they had that day was not vegan so it is advisable to ask because that changes every day. 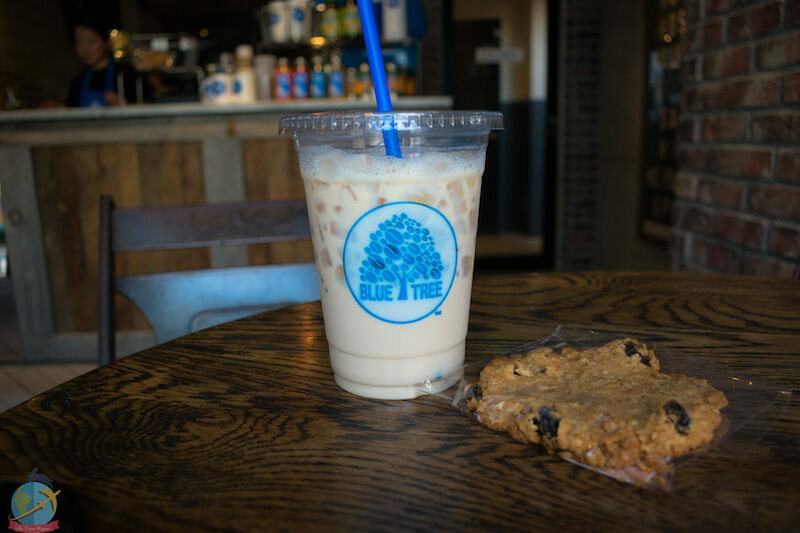 Blue Tree is a few meters from Biocafe. A vegetarian cafe where you can find wraps, salads, drinks and vegan desserts. Unfortunately, the day of my visit the only dessert they had was cookies, which is not bad, but I was looking forward to something more decadent like a vegan cheesecake or that kind of thing. I chose a Chai Latte with almond milk to drink. 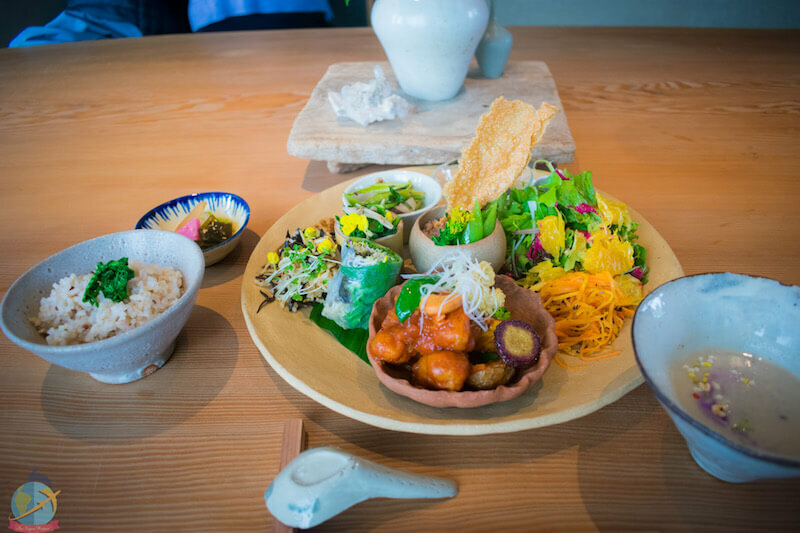 The Ain Soph restaurant chain has several branches in Tokyo and recently in Kyoto. Ain Soph Journey is famous for its desserts, Ain Soph Ripple also in Shinjuku is famous for its burgers and vegan comfort food. The heavenly pancakes are one of the star dishes of the place, but that day I had cravings for savory food. Well, I did want dessert after, but not something that big. 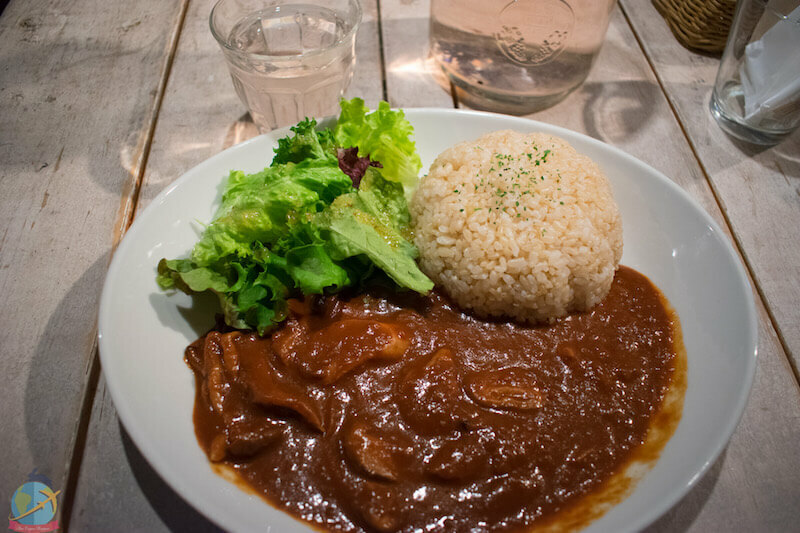 I decided to order the Hayashi rice with mushrooms that came in a delicious red wine sauce, accompanied by salad. 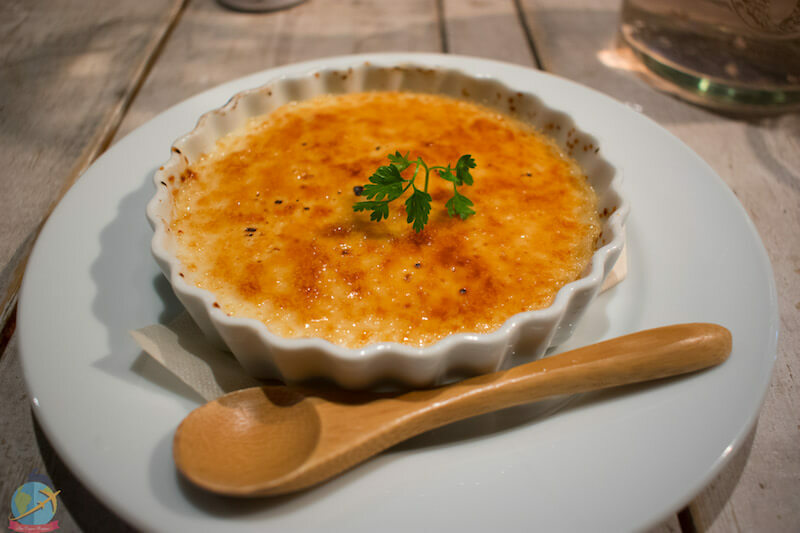 As I could not decide between crème brûlée or tiramisu I ordered both. The tiramisu I asked to take and eat another day ha ha ha. During my trip, I was unable to visit Ripple but I hope I can in a next visit, and of course to also try the heavenly pancakes from Ain soph journey. 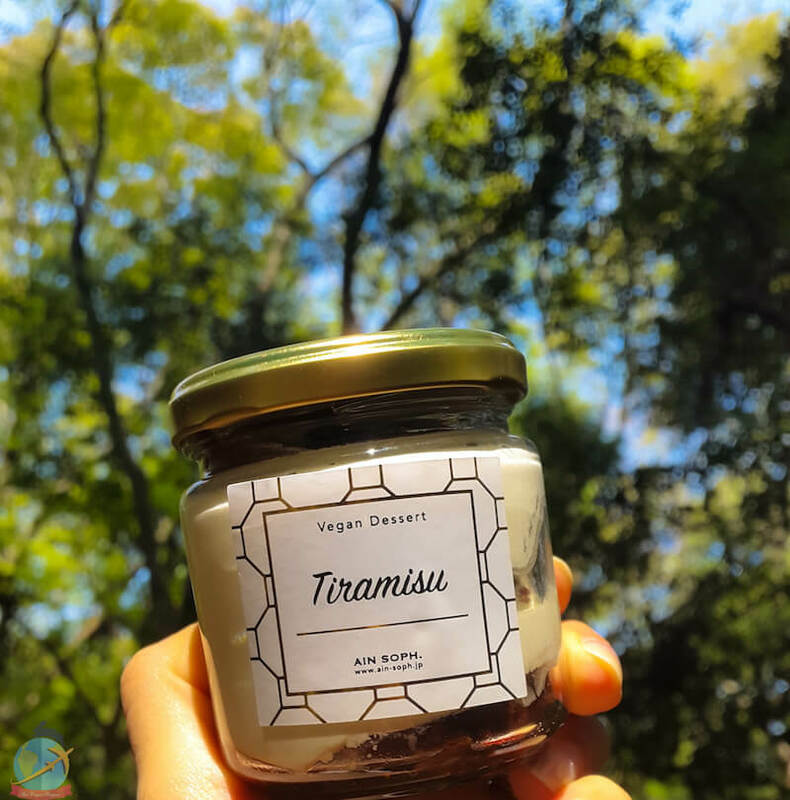 A dessert fell from the sky- Vegan Crème brûlée! 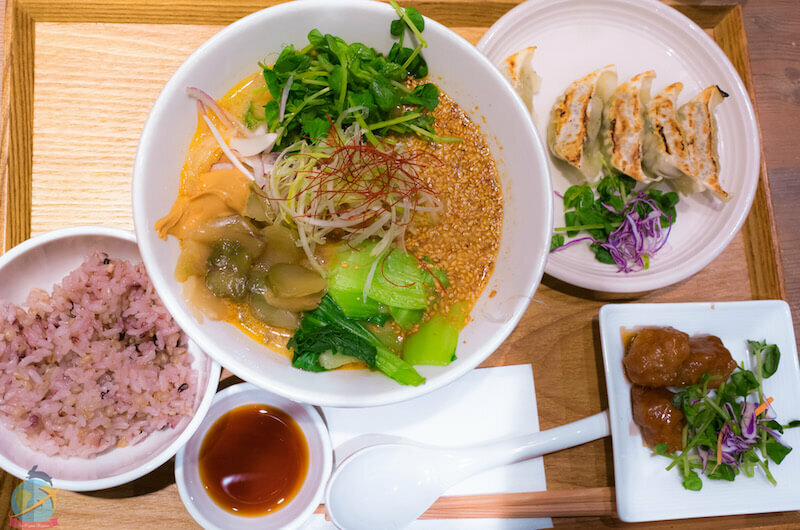 This restaurant specializes in ramen and offers one that is 100% vegan. 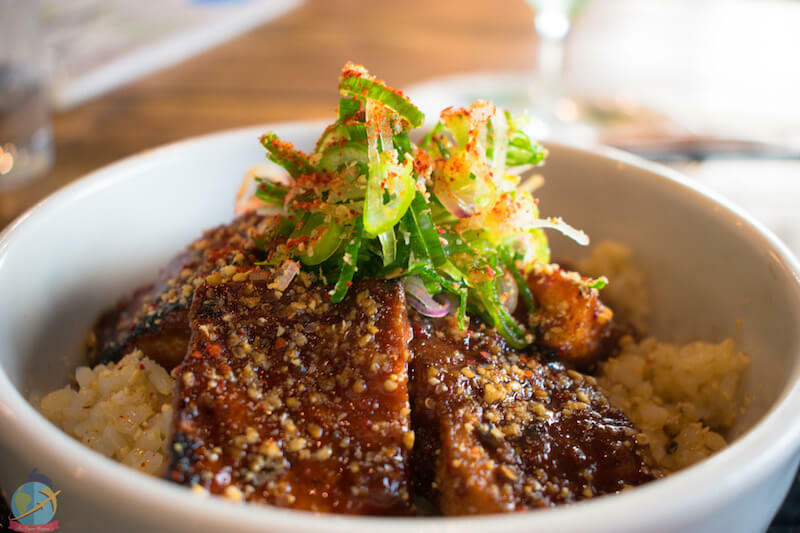 Everything from the broth to the noodles and toppings is suitable for vegans. 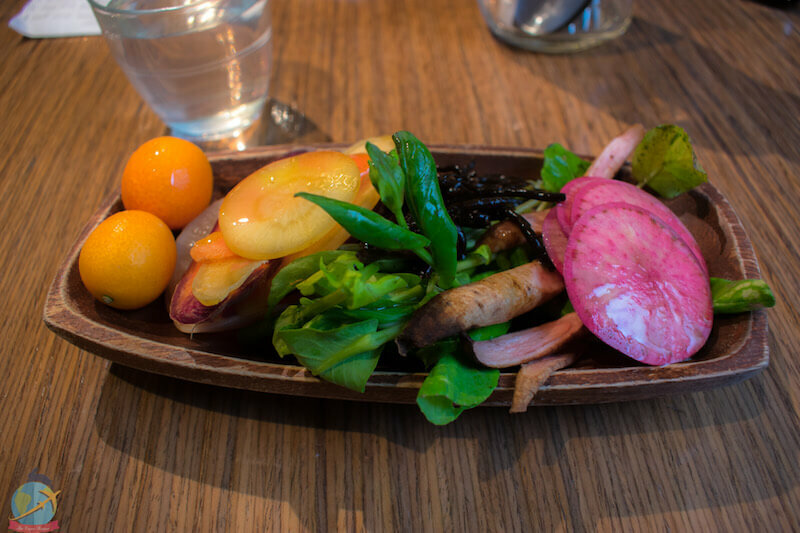 Located in Omotesando is a rather central place to go to eat and especially if you travel with people who are not vegan as they can find Japanese options for everyone. The ramen broth is lighter and not as rich and creamy as the one from T’s Tan Tan, but it was equally delicious. You can order extra noodles for 200 yen. They also have a branch in Akihabara. Being able to find this restaurant inside the huge Tokyo station was an odyssey! When at last I was able to find the location I encountered a huge line of people waiting to enter the restaurant. I was starving, but I was there and I didn’t really want to go and venture somewhere else so I decided to do the line and wait for my turn. Finally in I found it more difficult to decide what to eat because unlike the Ueno station branch, there were at least 8 ramen options there. I decided to order the Oriental ramen in combo with fried soy meat because I really liked it. The ramen was very nice, but I think my heart belongs to the Golden Sesame I tried the first time. Bell Cafe is a small restaurant very close to the Nikko Toshogu Museum. 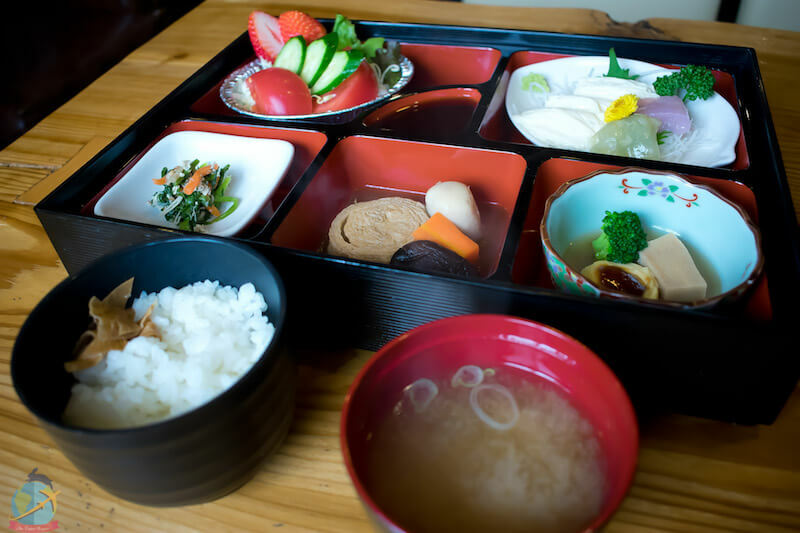 The establishment offers a Shojin Ryori (temple meal) menu called Monk’s Fest, which it comes with miso soup, rice and several extra dishes made with Yuba (Tofu skin). 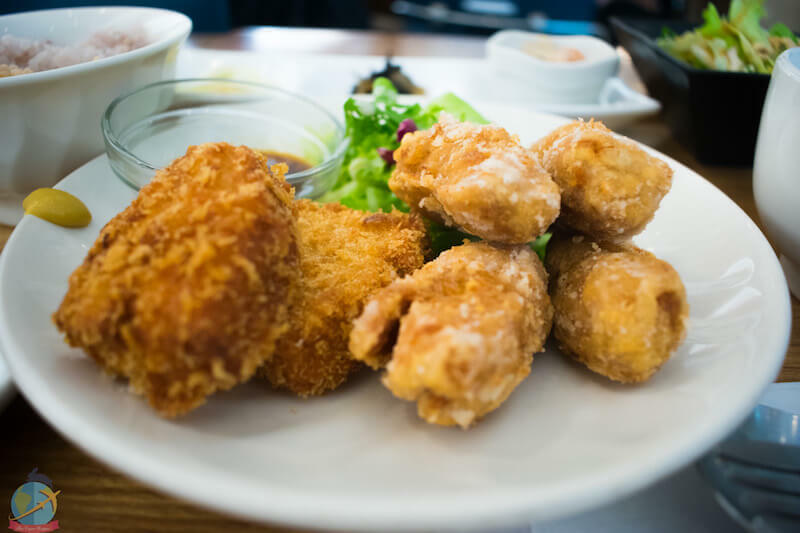 When consulting the owner for the ingredients of this set she confirmed that the tempura was not suitable for vegans as it contained egg in the premix batter, so not possible to take out and make it vegan. She very kindly offered me a salad to replace the tempura. 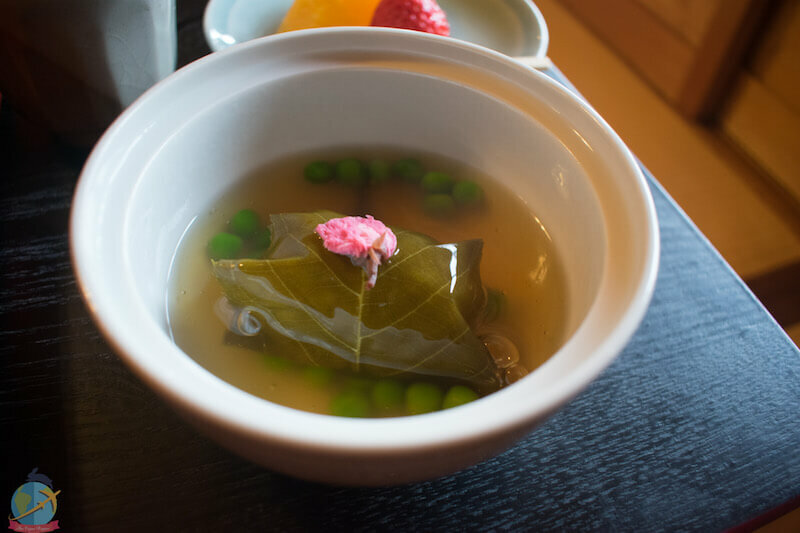 The occasion I visited there was no problem with the other dishes including fish-based dashi, but apparently, that has changed and this set is no longer suitable for vegans as people have recently reported that it contains dashi and cannot be eliminated. 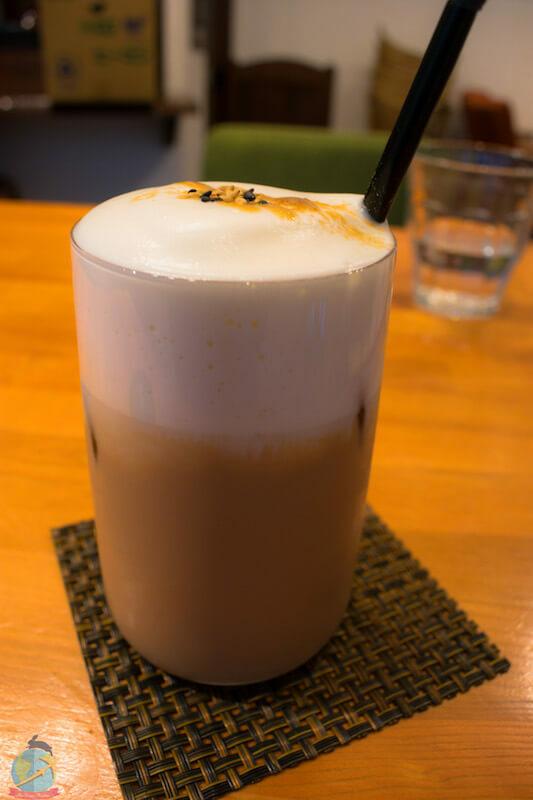 Less than 10 minutes from the Philosopher’s path is this cozy macrobiotic cafe. 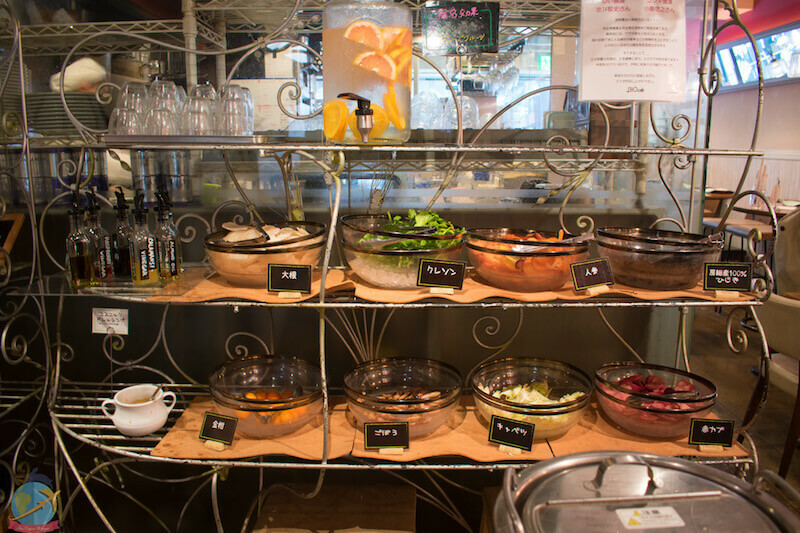 They have a daily menu that includes several samples of macrobiotic food, all vegan, all fresh, all delicious. They also offer desserts, coffee, wine, and wine. The ambiance and the décor are super cozy. And the owner is the same person who is responsible for attending so maybe if there are many people you’d have to wait a bit. The menu is small and maybe a little expensive, but it was totally worth it and I was super satisfied. 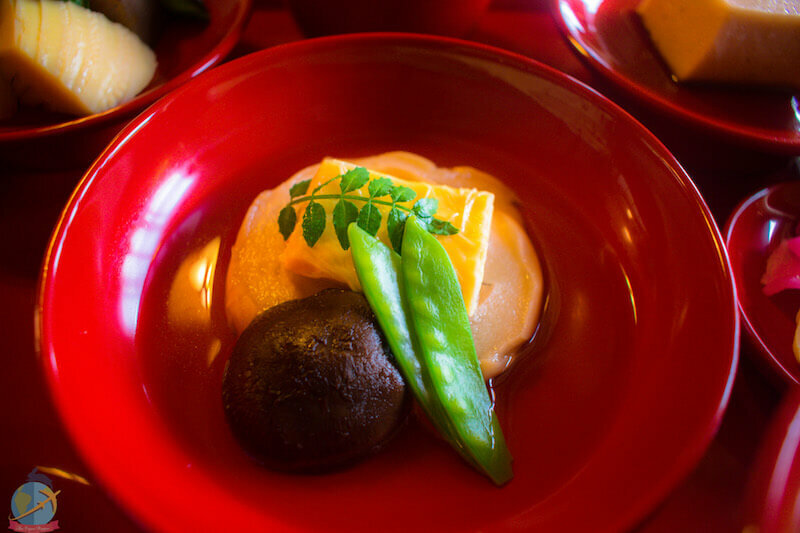 This restaurant is located inside the Tenryuji Temple and offers a menu of Buddhist vegan cuisine (Shojin Ryori). 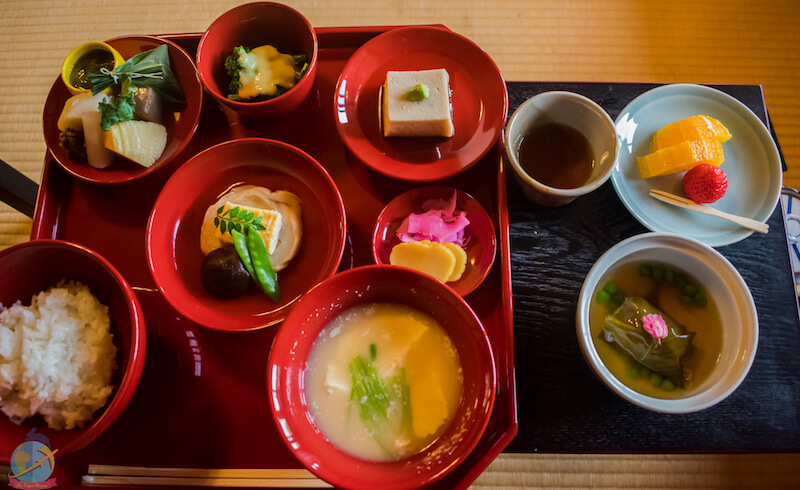 The lunch consists of several courses with small side dishes, miso soup, rice, tea, and dessert where you can taste all the 5 basic flavors: sweet, bitter, salty, acid and umami. You sit on the floor on a tatami mat with a view of the temple gardens. 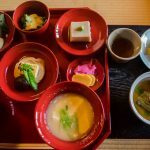 It was a very enjoyable experience and even though the price may scare a little bit, I recommend you try a Shojin ryori menu at least once during your stay in Japan. After a streak of bad luck in which I had to buy an emergency umbrella and walk under the rain to get to the restaurant I was originally going to visit (Morpho Cafe) just to realize that it was closed, I had to change plans. Since I was going to visit Nijo castle I decided to head to Gomacro salon and have lunch there while I was sheltered a bit from the rain. At Gomacro I tried the vegan burger, which was absolutely delicious, and a chai latte to warm me a bit. There were other things I wanted to try because they looked very interesting such as the Sesame curry, but maybe I’ll save that one for the next time. To get to Vegan’s café you have to walk a little bit from the Inari station, but I liked it as I could see a little more of the life of Kyoto outside of the super touristic places. I arrived almost an hour before closing so I didn’t have much time as this cafe closes quite early. But the point in favor is that thanks to that I didn’t have to wait long! They attended me extremely fast and there were not so many people in the restaurant. I ordered one of the recommended dishes which was the Chargrilled tofu rice bowl and I was speechless. Just spectacular, out of this world! 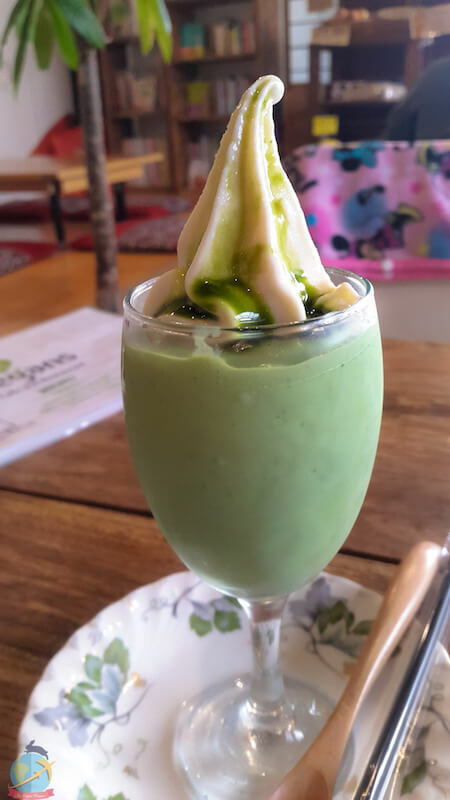 I ordered a matcha milkshake as well. The ramen looked quite tempting, but I had already eaten enough versions of ramen in Japan so I considered it appropriate to get something different. 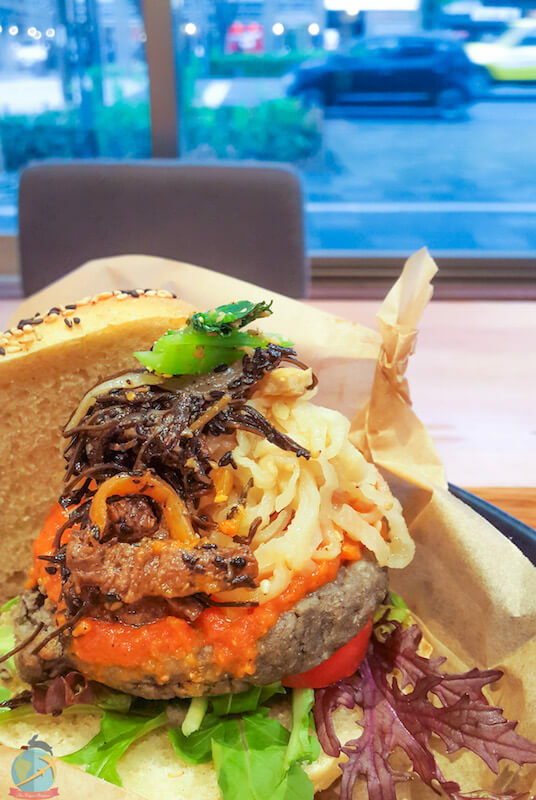 If you visit the sanctuary of Fushimi Inari you should stop by Vegan’s Cafe. 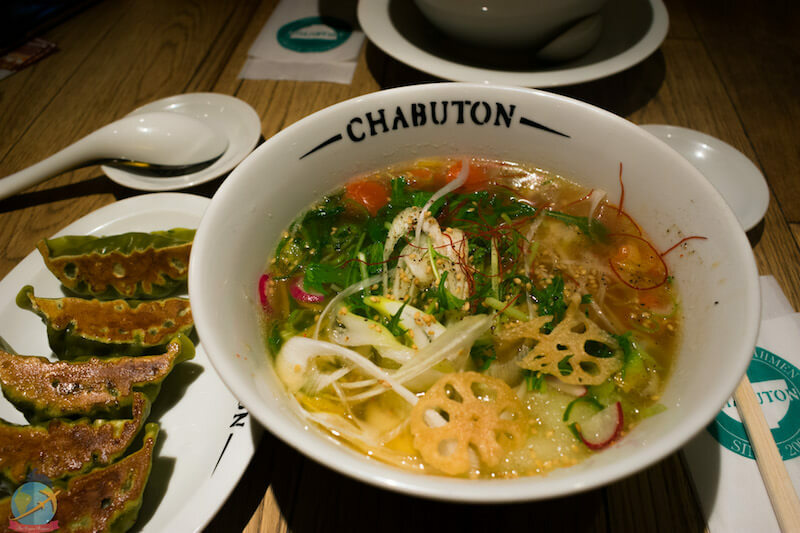 Chabuton wouldn’t have been my first choice and I definitely would have preferred to go to some vegan restaurant in Osaka, but because I was going to eat with someone else it was decided that it was the best option at that time. They only have 2 vegan options. 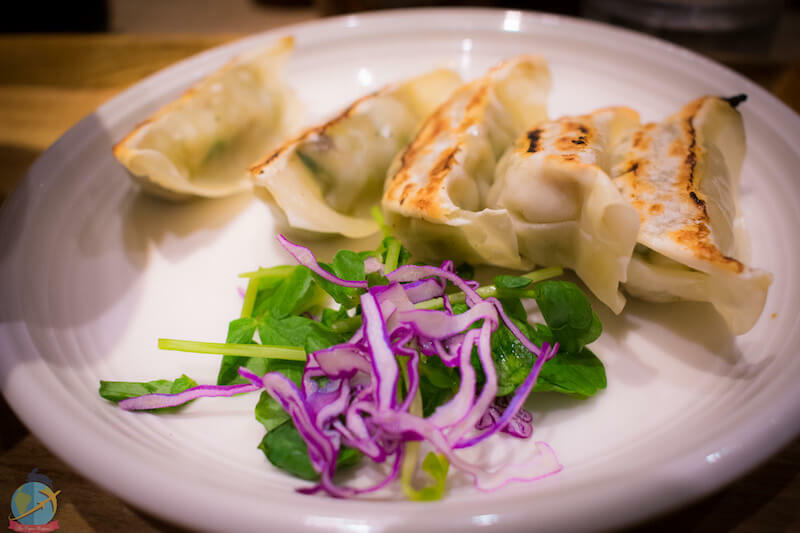 The ramen was not bad at all, and the gyozas were also a nice addition. Again, Medaka was my improvised option. The places I really wanted to visit were closed that day or they were a little far from where I was. I already had a commitment outside of Osaka in the afternoon so I did not have much time and Medaka was the closest place I counted on to be able to have lunch before leaving. I had to wait a bit to be able to enter the restaurant and be catered for which was a bit frustrating, but luckily the wait was worth it as the food was pretty good and the portions were enough to quench my hunger. Here I had a vegan set meal that came with miso soup, soy meat, rice, salad, and side dishes. 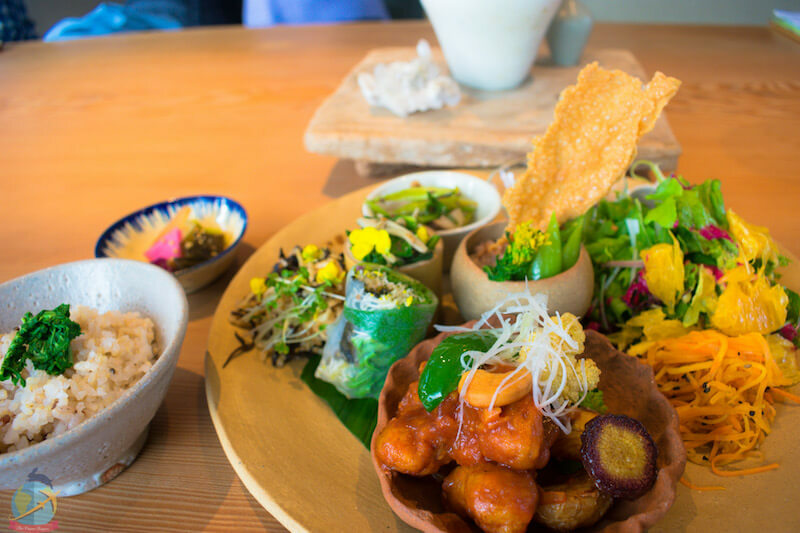 This is a macrobiotic food restaurant with some vegan options and desserts. To put the final touch to my stay in Japan I decided to take a cooking class to learn how to make my own vegan ramen! 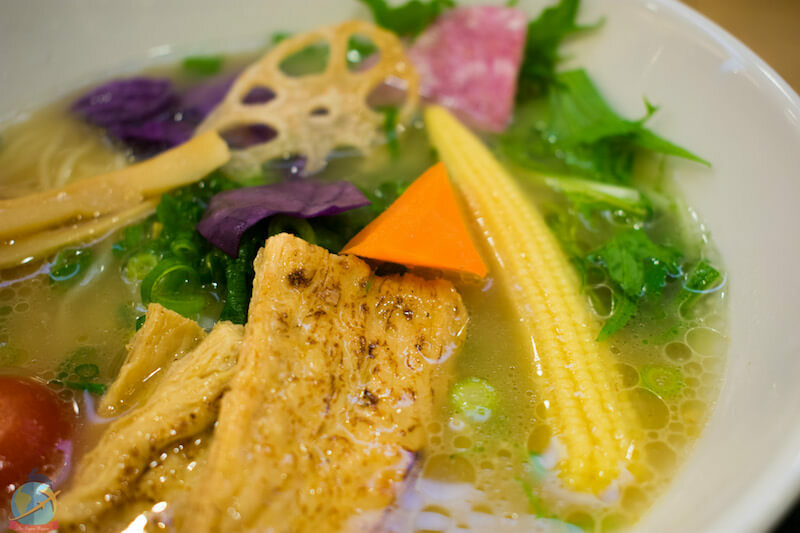 Although this cooking school is not totally vegan, the class to make ramen is. They also have the flexibility to adapt any of their other classes for vegans/vegetarians. At the end of this trip and although it has been several months since I returned to Panama I still dream of the things I tried in Japan and those that remained pending. I definitely want to be able to go back again, and even though it can be a bit tricky to find vegan food in some places once you do it it’s like a hidden gem. Have you visited Japan yet? How was your experience traveling as a vegan and what were your favorite places? Leave your comments down below and don’t forget to follow me on my social networks for more tips and recommendations on how to travel as a vegan. 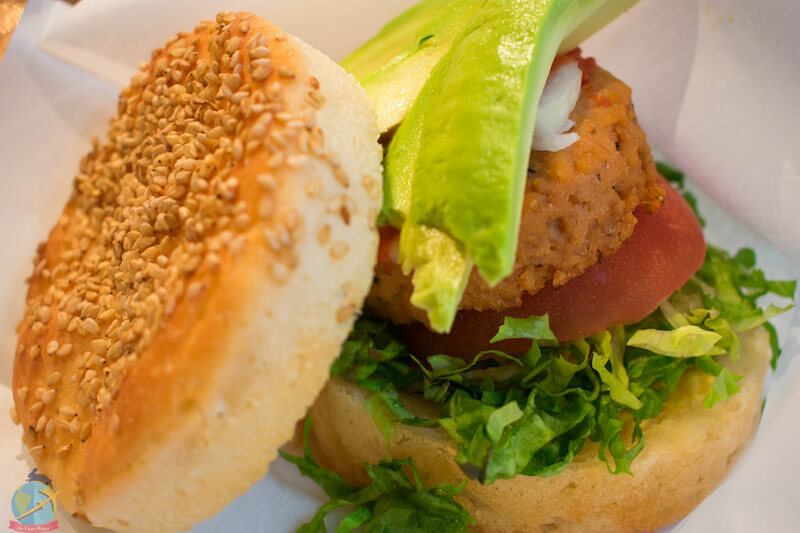 The Vegan Hopper is designed to inspire people to travel around the world as a vegan showing that it is possible and very enjoyable. Load More…Why not Follow me on Instagram?